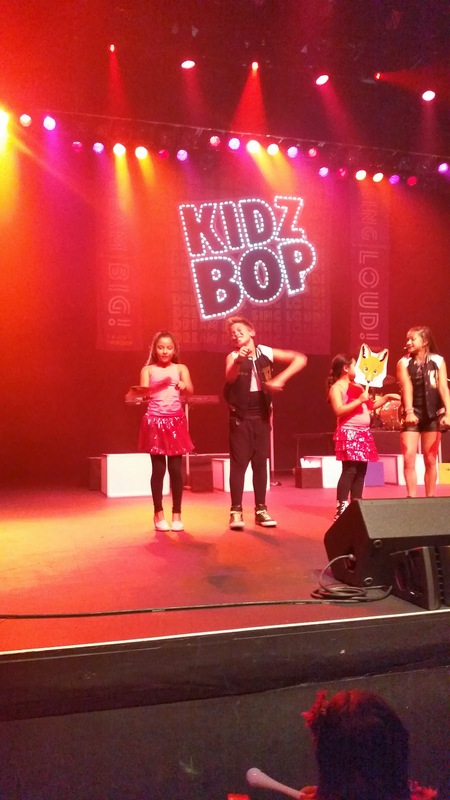 Zoe was on Stage at Kidz Bop ! The time came !!!!! 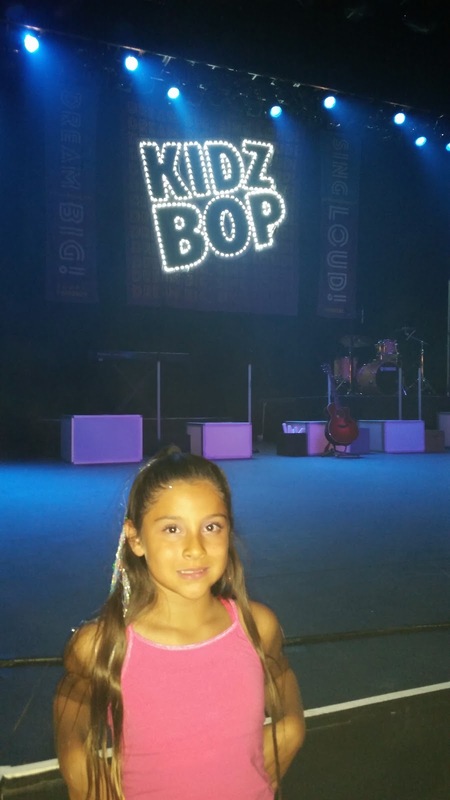 Our tickets that we won would be sitting at will call and we would be ready to leave on time for Kidz Bop at the Fox Theater in Riverside ! 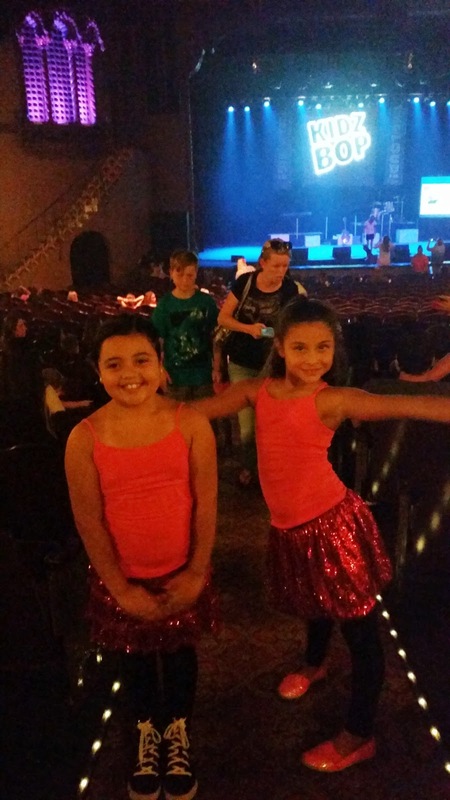 Oh yes we did win 4 tickets from #MacaroniKidYL - and when I asked Zoe who she wanted to take with us for her birthday ... she told me her friend Sabryna ! I was excited since the girls have birthdays a week apart and I have not hung out with her mom Kathryn for a while.. you know life gets in the way so here was our mom moment to hang and be cool in the girls eyes. I put a bunch of glam into Zoe's hair and did a little make up per her request . We put her in the outfit that she chose for both girls to have. 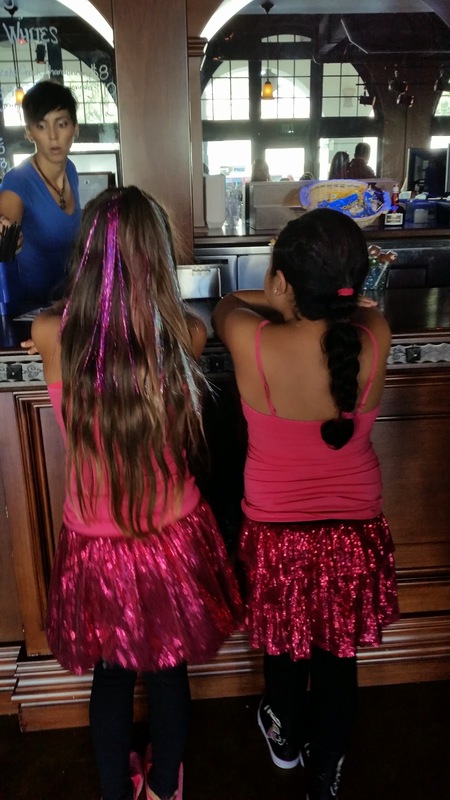 We gifted the same outfit to Sabryna at her party the weekend before the concert.. TWINS.. yeah the girls were so excited ! Well so were the moms lol . The lovely ladies picked us up about 3 for the concert that started at 5pm. You know Riverside traffic and if you do not.. its horrible.. most time of the day it is just stop and go and not flowing very well at all. But today seemed to be a lucky birthday day ....the traffic was manageable and we arrived at the venue about 4:15ish. There was parking directly at the Fox theater for $5 ... are you KIDDING me !? That's it --- SOLD ! We walked up and went to will call. Thank you to #MacKidsYL for this amazing opportunity.. Our Seats were orchestra and row N... basically so close we could see the Kidz Bop Kids facial expressions. Before the show started the four of us girls took a walk around the place to check it out. We noticed that there was an amazing smell of pop corm coming from a small room off to the left.. we walked in and it was filled with kids and parents in lines for popcorn and drinks. By drinks I mean both alcoholic and non. We got a few drinks and ordered a few popcorn bags and noticed that the pop corn line was growing and growing. As we glanced over to the left we saw this old school little popcorn machine that was working so hard sweet little thing at over popping as fast as popping can happen to maybe fill everyone's need before the show started ! lol loved that little thing. We went to our amazing seats and the girls were going craycray !!!! They ran up to the stage and took pics in front of it and continued to sing and dance at their seats. Meanwhile .. well us moms... decided to take part in the #tweet contest. 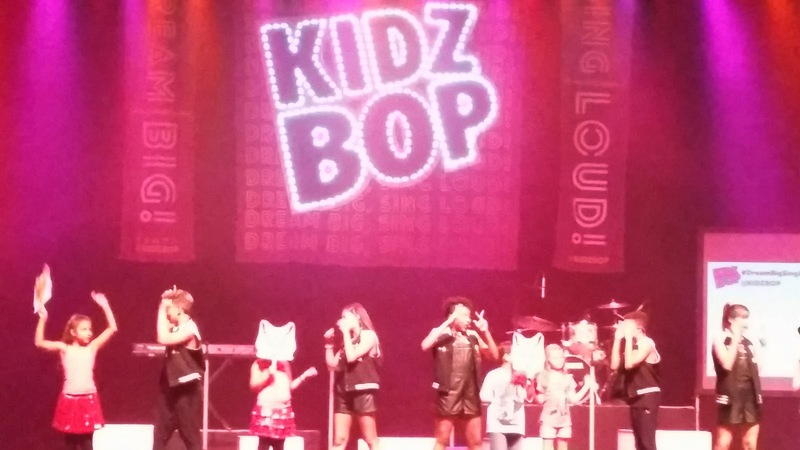 The most tweets from one tweeter lol would win a meet and greet with the Kidz Bop Kids after the show... Oh yes I am ON IT ! While I tweeted pics of the girls singing, laughing and posing silly, one of the producers for the show came up and asked if Zoe would go back stage and the on stage with one of the pre-show performers. 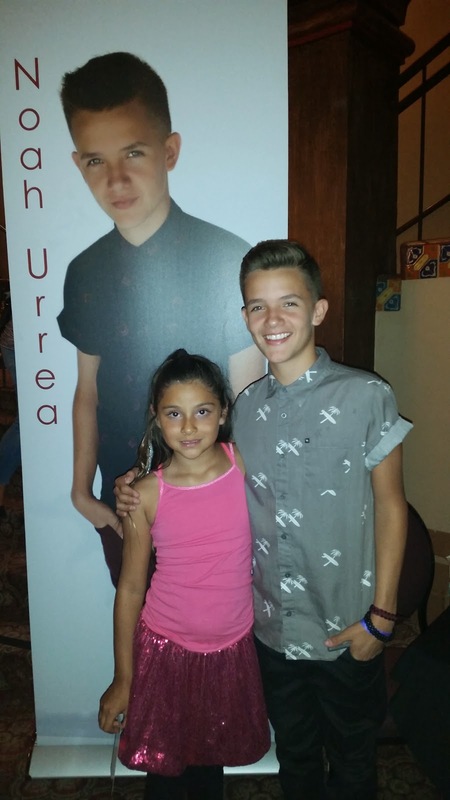 Noah, a former Kidz Bop Kid was supposed to have Zoe sit on a chair and he wold serenade her ! She got all the way to the back, up to the stage and then got a little nervous that a 13yo would be serenading her ! I would too at 6yo ! 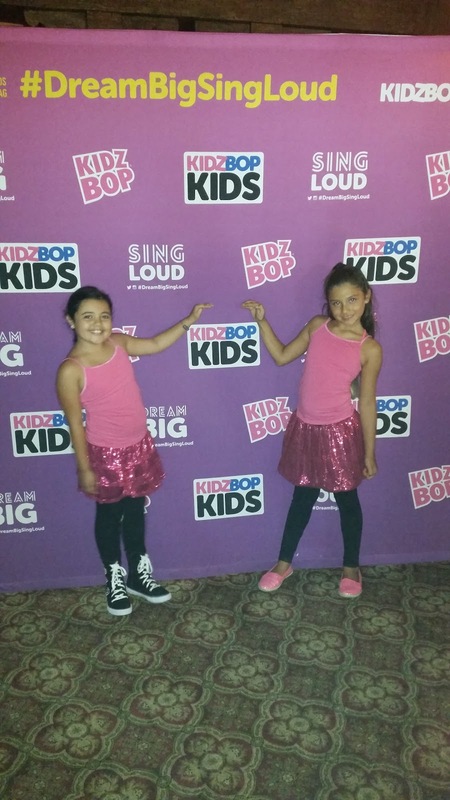 The nice producer said that she would love if Zoe and her friend Sabryna would come up on stage to dance and sing with Kidz Bop and that they were so ecstatic to do ! When the time came the girls went to stage right and we patiently waited to see them on stage. The girls ROCKED the stage. Zoe was jumping up and down, dancing and singing all around. Sabryna was dancing and playing the part of the Fox for what does the Fox say like a pro . 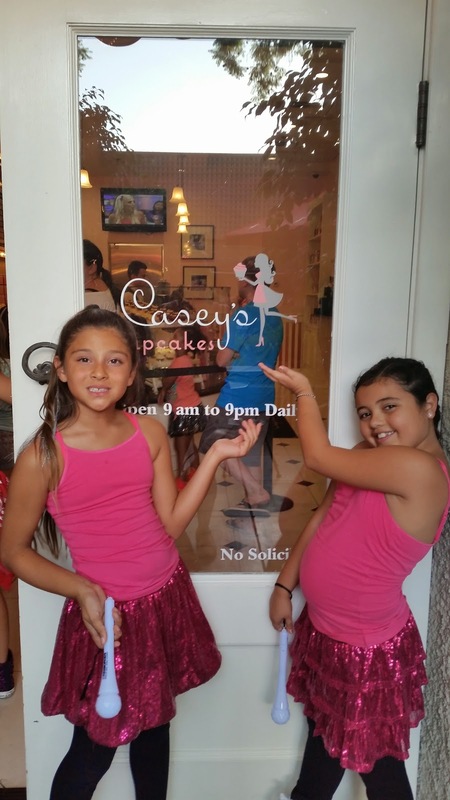 It was such a rush for us moms to cheer for and see our girls up looking like super stars. 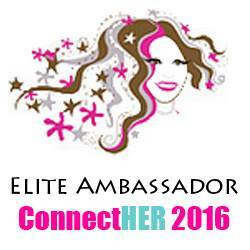 What a great experience for all ! After the girls ran back and were hyped up the rest of the show.. dancing in their seats, hollering at each other and singing the songs so loud we couldn't help but act like the girls too. Get Loud.. there's a time and place and this was sure it ! 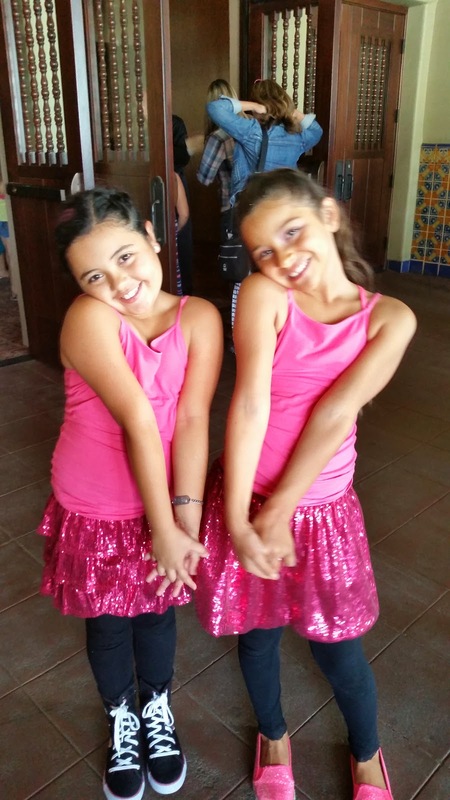 The girls were adorbs in their twinsie matching outfits on cloud 9. At intermission we went out and snapped a few pics with Noah (the serenade superstar boy) and then headed towards the restroom. 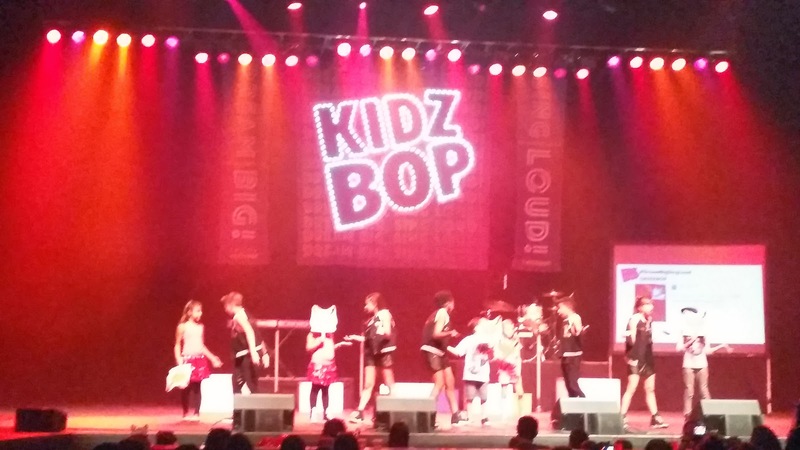 By the time we got to the line the girls were bombarded at least 3 times with "fans" asking if they were part of Kidz Bop and telling them they were amazing on stage. One mom even told Zoe, "wow that was you on the far left.. you were awesome like you were part of the real show".. again Zoe was on cloud 9 as happy as she could get with her dreams of being a superstar on stage were coming true for a moment.. she was humble and kindly said hi to her "fans" and told one little girl, who couldn't get words out cause she was so shocked she was looking at someone on stage, that she loved her outfit and thank you for saying hello". Again, pure perfection of a night for our girls ! Second half of the show as just as awesome as the first and the girls continued to sing and cheer for our tweets that appeared on the jumbo screen on stage. We came in second on the most tweets... but gladly for the opportunity for our girls to have been on stage with the Kidz Bop kids.. ill trade that any time. WOW ! Great show form some amazingly talented sweet kids. Wish them all the best of luck as they continue their tour ! 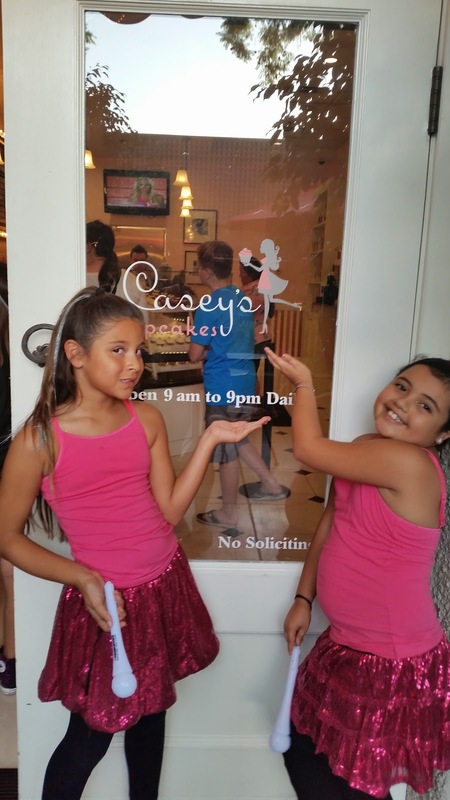 We took the girls over to +Casey's Cupcakes and let them each pick one marvelous cupcake to eat there and we each had to get 6 sweet yummies to go ! Yes I know.. but we had to ! Once you eat one you just want to taste all the rest ! #sorrynotsorry ! 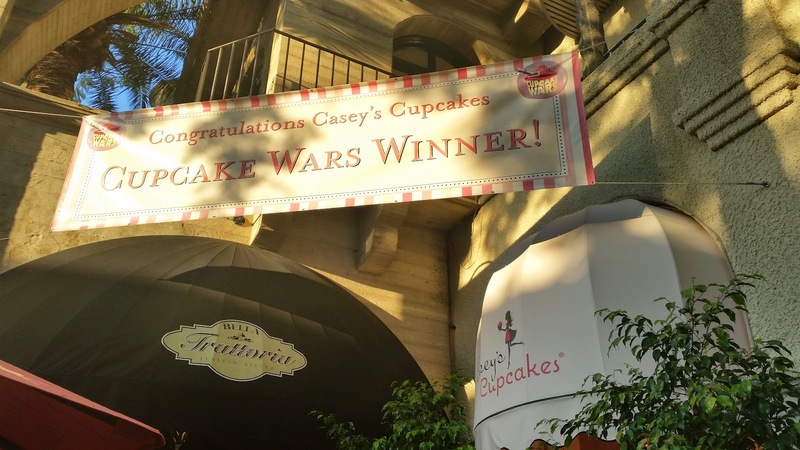 I got a few of the decadent dark chocolate, an excellent espresso, a peanut butter pizzazz, and a rockin red velvet - all so tasty and great we had to share them at home to each get a taste of that awesomeness. We got a bite to eat for dinner and had the girls sit and enjoy their sweet cupcake. We, you know.. us moms.. vegged out a bit and enjoyed the amazing architecture and history that the Historic Mission Inn holds all around itself. Knowing we have beat the evening traffic we started to head back to the parking garage around 8ish... a nice drive home with girl chat and laughs was much needed and much appreciated. Cant wait to do it again and see my baby smile like it's the best night of her life ! Happy Birthday little bug and may all your dreams come true.. even the ones of rockin the stage ! 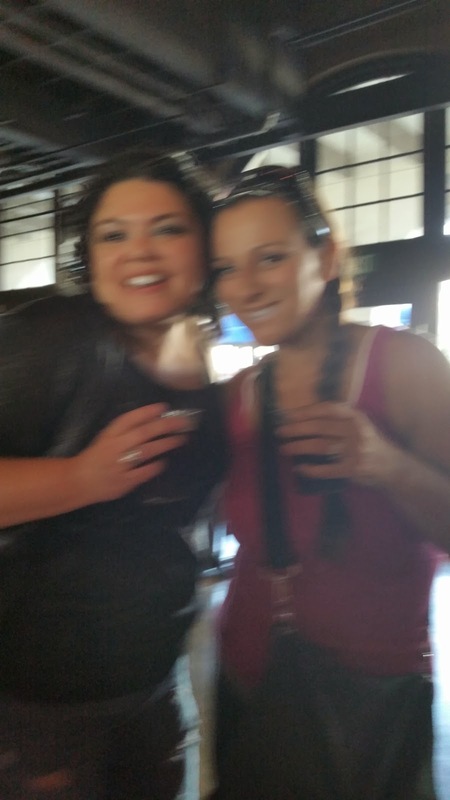 With an amazing show and a great venue we had one of the best times on a mom daughter date I think we have had ever ! Thanks ladies !